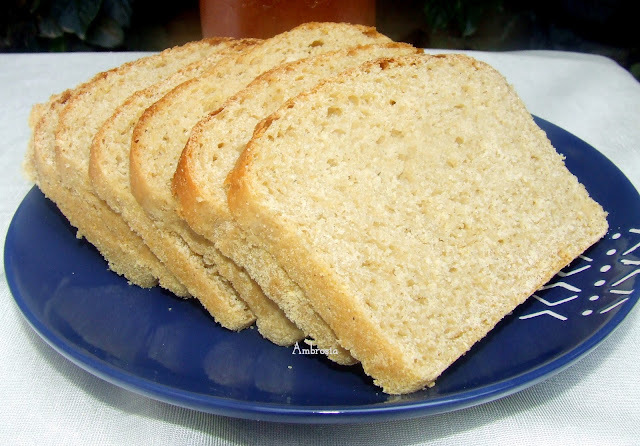 Whatever be the origin of the story, this simple loaf with flour, cornmeal and molasses has become extremely popular in New England. It is a delicious bread. Whisk together cornmeal and salt. Mix oil and honey. Add boiling water. Let the mixture rest for 15 minutes. Add all purpose flour, whole wheat flour and instant yeast. Knead well. If the dough feels dry add warm water to get smooth soft dough. Knead the dough for 6 to 8 minutes. Let the dough rest for 20 minutes. Deflate the dough, knead further for 5 minutes. Grease a bread tin (8 inch x 3 ½ inch) and dust with cornmeal. 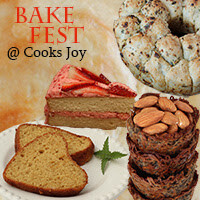 With the help of a rolling pin or with hands, stretch out the dough , no wider than the loaf pan you are using. Roll the dough towards you, tightly. Pinch seams to seal. Place the roll in the greased loaf tin with the seam side down. Cover and keep it to rise for 1 hour or until the center has crested at least 1 inch above the lip of the pan. Bake in a pre heated oven at 180 degree C for about 25 to 30 minutes till the top turns golden and the bottom sounds hollow when tapped. Remove from the tin after 5 minutes, transfer to the rack to cool. 'Anna damn Her' and such a pretty loaf was created. Loved reading the history, very interesting. And yes, you are my Bread queen for all the lovely loaves you keep baking. You must contemplate starting a home business of baking breads. Will be a big hit!! Looks really good! This is one of our favourites too! This bread looks lovely. 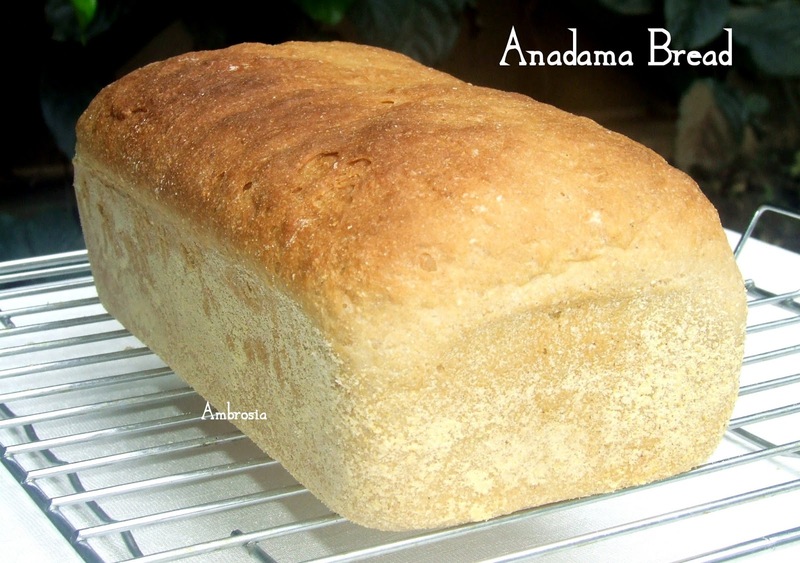 I have seen recipes for Anadama bread for years but have never tried baking it. Does it end up sweet? It would seem to be a somewhat sweet bread in flavour and I love savoury breads :).